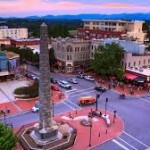 Make the Asheville Visitor Center and Convention & Visitors Bureau your first stop for information about the Asheville area. 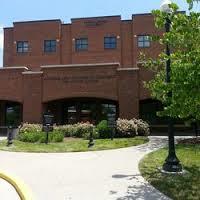 Talk to knowledgeable volunteers who can help customize your Asheville vacation experience. You can even purchase attraction and tour tickets (including Biltmore) or pick up souvenirs at The Asheville Shop. In addition to area information on accommodations, restaurants, outdoor activities and more, the Visitor Center is home to Gray Line Trolley Tours of Asheville and Segway tours, both of which allow you to park your car and see the area. Weaverville is a charming small town that embraces fine dining, spas and exquisite bed & breakfasts, all against an awe-inspiring backdrop of the Blue Ridge Mountains. 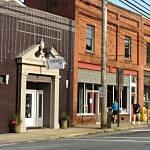 North of Asheville lies the rolling hills of the Reems Creek Valley and a not-so-sleepy downtown filled with an abundance of popular eateries, and a heavy helping of small-town charm. The pace of life remains slow and sweet here, surrounded by country roads, spacious farmlands, verdant forests and mountain coves. Arrival by interstate is quick, or you can meander the slow roads. 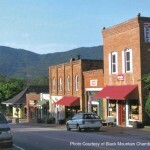 Incorporated in 1909, Weaverville existed as a community of farmers. You’ll find plenty to do in Black Mountain, “The Front Porch of Western North Carolina,” but if you’d rather just relax, there’s plenty of nothing to do, also. Stay the night, dine, shop, or just take in the mountain scenery. Rolling mountains serve as the backdrop to this vibrant mountain neighborhood, boasting a lively downtown filled with craft galleries and quaint bistros. Along the banks of the French Broad River, and minutes away from Asheville, Woodfin is a small community offering an outdoor escape and whitewater adventure.